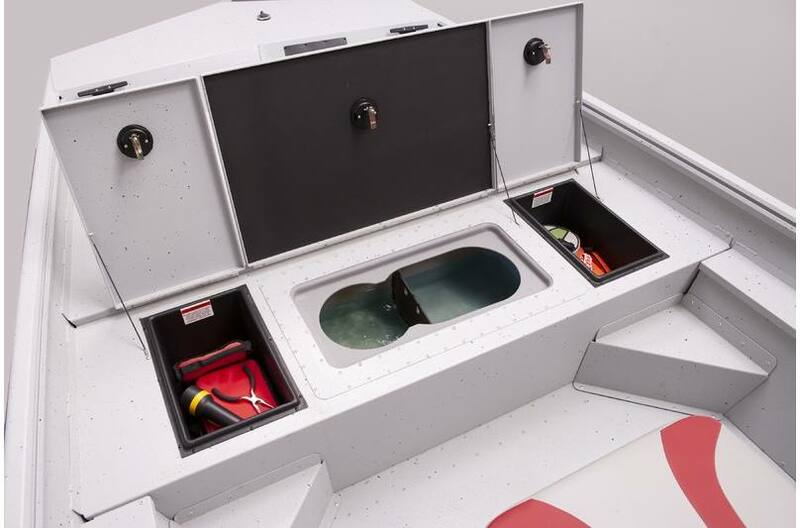 For shallow water running in the most demanding environments, nothing matches the 18 CCT prop tunnel hull. The 18 CCT delivers impressive shallow water dependability, without the learning curve associated with driving a tunnel hull. 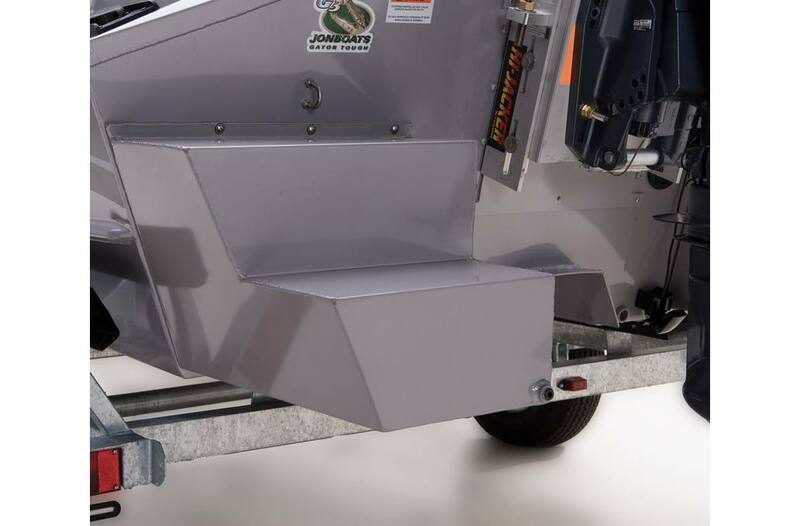 G3 is the market leader in tunnel hull designs and delivers the durability and value that have made Gator Tough™ jons famous with sportsmen everywhere. 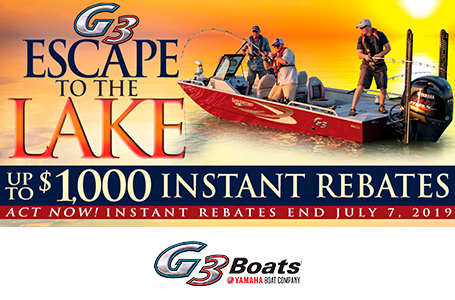 G3 offers optional Lowrance® products throughout the Gator Tough™ jon boat lineup. Optional jack plate is available. 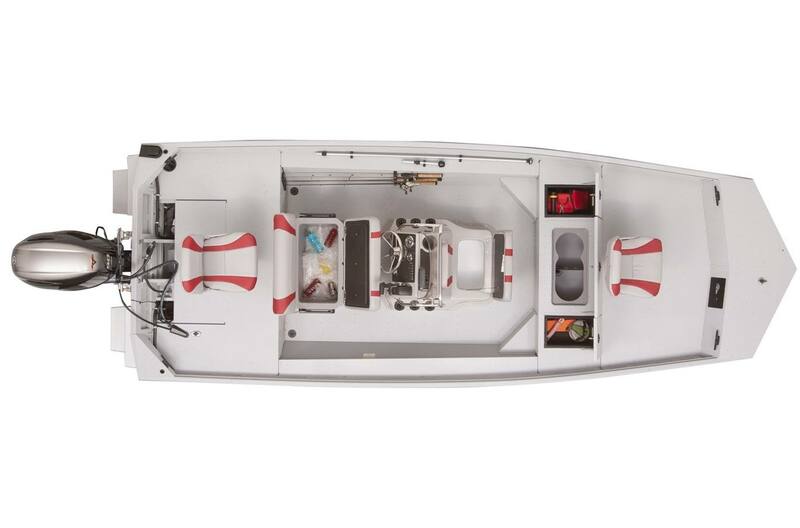 Optional buoyancy pods on prop tunnel hull models provide lift for fast hole shot and enhance flat running for shallow draft. 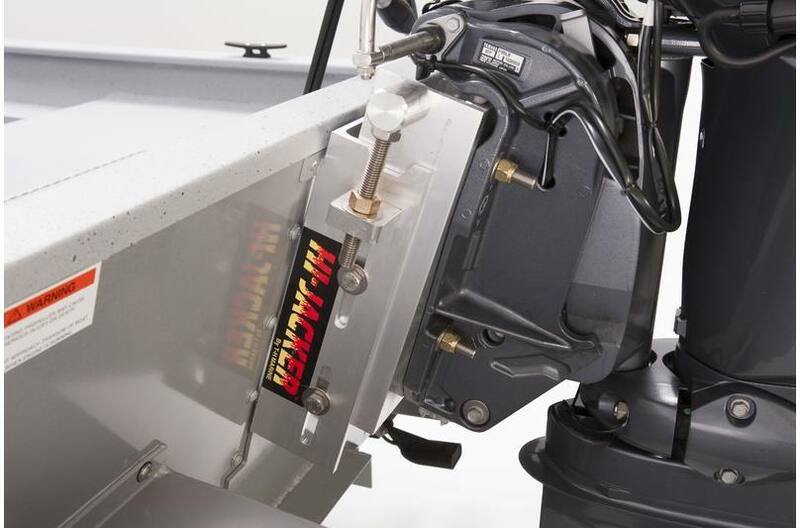 19 gallon livewell includes insulated lid, divider, and trim designed to hold a Plano® bait bucket. 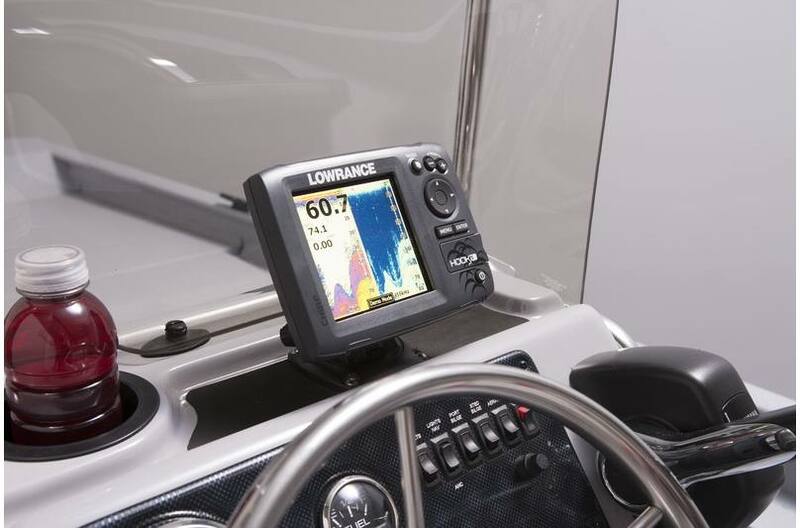 It is flanked by lockable storage and the step to front deck provides easy movement in the boat. Package Length: 23 ft. 7 in. 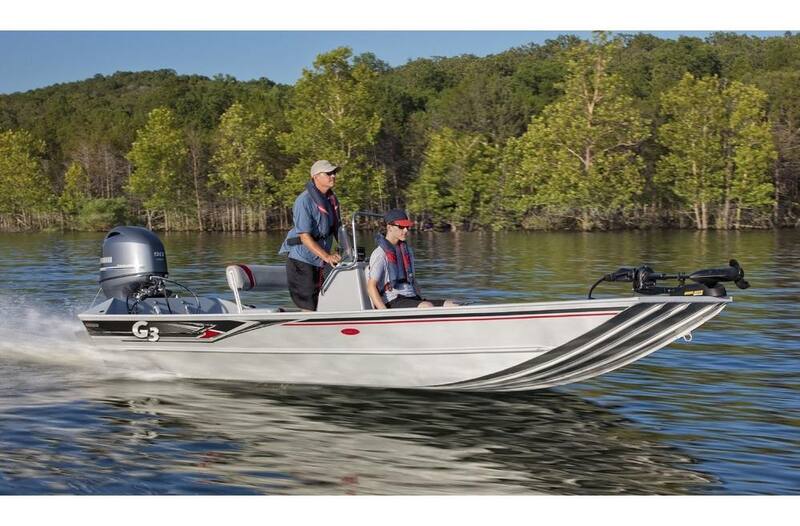 Dry Hull Weight: 890 lb. Max Weight Cap: 1500 lb.